Car Diagnostic Software for Volkswagen, Audi, Seat and Škoda. With CarPort you can easily perform car diagnostics by yourself. With CarPort you gain access to all installed Electronic Control Units (ECU) on cars from the Volkswagen Group (VW, Audi, Seat and Škoda). 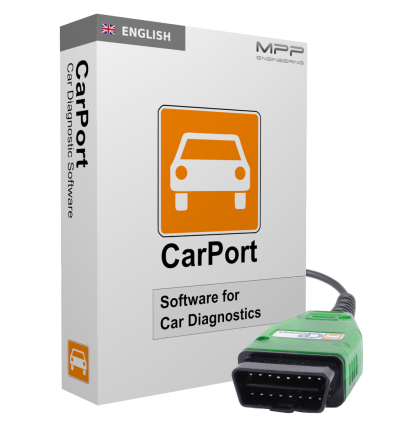 CarPort allows you to perform OBD2-Diagnostics on cars from all brands. Exchange experiences with other CarPort users on our forum.